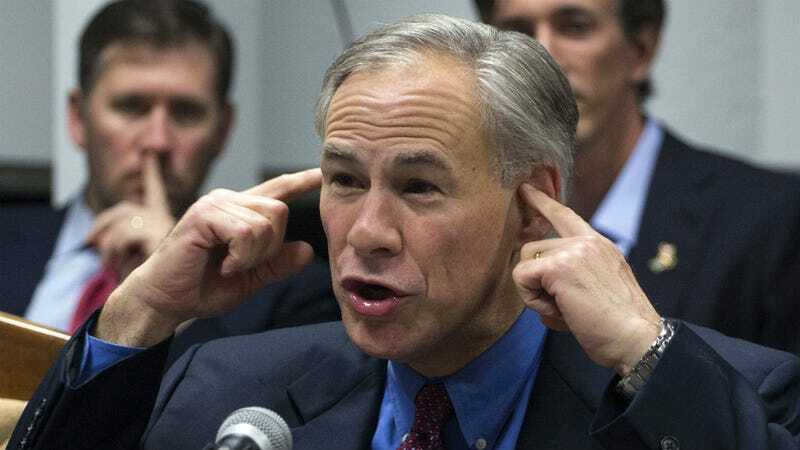 Texas Governor Greg Abbott has made a career, calling, and vocation out of suing the federal government—“I go into the office, I sue the federal government,” he famously said, back when he was the state’s attorney general, but today he took it to a new and special place. Abbott released an entirely insane, wholly unworkable, but very ambitious plan to kneecap the major powers of the federal government. You’re reading that correctly: those are proposed changes to the U.S. Constitution, not the constitution of the state that Abbott was elected to govern. Abbott is calling for a “convention of states” to band together to make those changes. That’s not currently how the law works, but it’s an increasingly popular proposal among people who think the feds have too much power. Next up: throw a bunch of tea into a harbor, see how that does.